To combine the goodness of fresh air with carefully regulated temperature for wholesome living – and breathing! Cool your home during Toronto’s humid summers, feel relaxed and at ease when you enter your home from a day out. Heating and air conditioning units have evolved as a vital part of our daily lives. With features like HVAC (Heating, Ventilation and Cooling amalgamation technology), we actually have a way of controlling the climate and the air that we thrive in. Modern day air conditioning is a devise and mechanism rolled into one. With this premise in mind, Home Star has developed a range of air conditioning units that make use of the latest technology and offer air conditioning repair in Toronto so as to help you make your experience more worthwhile. We are the cream de la cream amongst air conditioning contractors and work towards filling your lives with fresh air. We not only provide the equipment, but we also install the product for you in keeping with your location, kind of space, and work around the constraints involved so as to make you absolutely comfortable. With Home Star you get heating and air conditioning units that will suit all kinds of spaces and requirements. With the right technology fitted in the right place, we believe in delivering goods over a large landscape of needs for commercial and residential set ups. 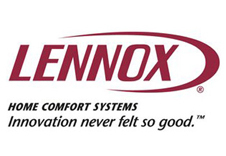 Created with the SilentComfort technology, the Lennox air conditioners make quietude a part of your life even when the AC is on. Enjoy the consistent temperature in all parts of your home, without shelling out big bucks for the energy bills. 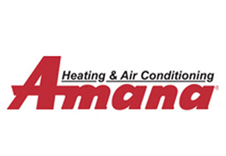 Amana air conditioners run on high efficiency compressors that last long and also run noiselessly. Save on energy bills and also find peace and quiet in the comfort of your own home.